The famous words by the Nintendo legend Satoru Iwata. These words reflected exactly the kind of man who Iwata was; a man who put the games and the company he was CEO of before himself. He was well-known for taking a 50% pay-cut rather than make employees redundant when Nintendo saw their profits drop dramatically, with it happening more than once. Although Nintendo sales are fine for now, he took a wage cut after both the initial launch of the 3DS and in 2014 after Wii U sales weren’t doing as well as predicted. He was the first president of Nintendo that wasn’t a relative of the Yamauchi family, and only the fourth there ever had been. He took over as CEO of Nintendo when Hiroshi Yamauchi retired, who had turned Nintendo from a small Hanafudu playing cards company to the video games giant it is today. Born in Sapporo Japan, he had an interest in video games from a young age. Starting out by making games on a simple school calculator, he later went on to study computer science at the Tokyo School of Technology whilst doing freelance work for HAL Laboratory; even whilst at HAL he had a big hand to play in Nintendo, having worked on the Kirby and various Pokemon games. Iwata was eventually made a full-time employee of Nintendo in 2000 when he was appointed as the head of the corporate planning division, before becoming the president of Nintendo in 2002. With Nintendo Directs and ‘Iwata Asks’, Satoru Iwata made Nintendo a much more personable company to its fans. Through Nintendo Direct press events, we got to see the side of Iwata that the public came to love. Ever humorous in his approach to the creation of everyone’s favourite Nintendo titles, he showed us all the fun side of games development. As a girl who grew up on Nintendo, I have been a part of the Nintendo community for over 20 years. My first console was the NES, shortly followed by the original Game Boy, and I have been a fan-girl ever since. 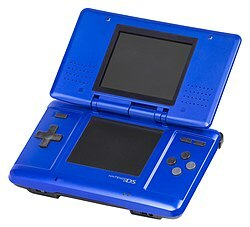 Iwata played a crucial role in the development of many of the games I played as a child, such as Kirby and Super Smash Bros. During Iwata’s time as president, the now much loved Nintendo DS and the revolutionary Wii were launched. 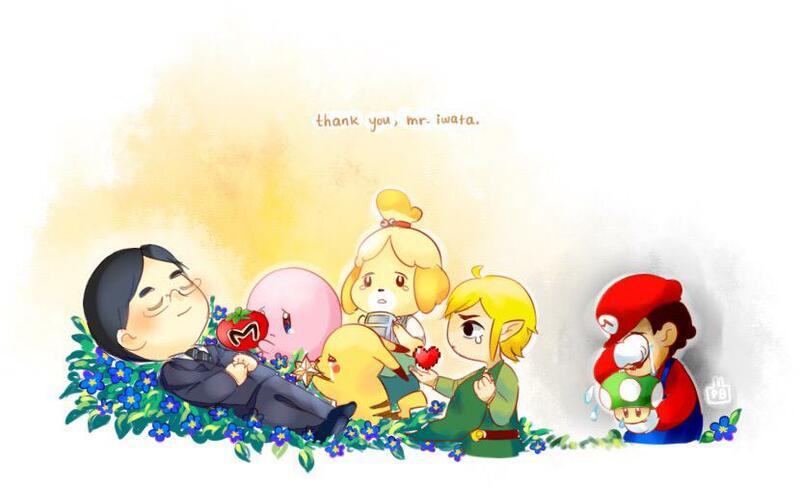 Games studios across the world have been paying tribute to Iwata today with fan art. Even rival company Sony paid tribute on their PlayStation twitter account. After having to miss E3 last year due to his battles with cancer, he sadly passed away on July 11th 2015 at the age of only 55. With his passing, people are left wondering who will be able to replace such an icon of the industry, but for now the world is in mourning for such a wonderful man. RIP Satoru Iwata, you will sorely be missed by many gamers around the world.